I'm so ready to do some Spring shopping! I'm loving the linen trend this season like the Urban Outfitters linen midi skirt. I'm also craving some boho vibes like the American Eagle wide leg jumpsuit. I have also taken in consideration more nursing friendly features like wrap dresses and button up tops. Now if only the weather will get on board with my mood. What is on your must have Spring list? 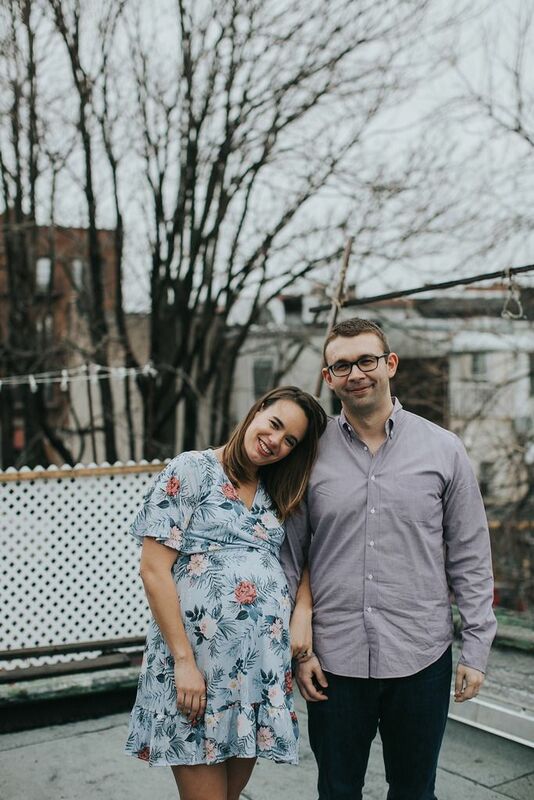 I really wanted to do a maternity photoshoot and it took us awhile to scour the internet to find a photographer who matched our aesthetic. 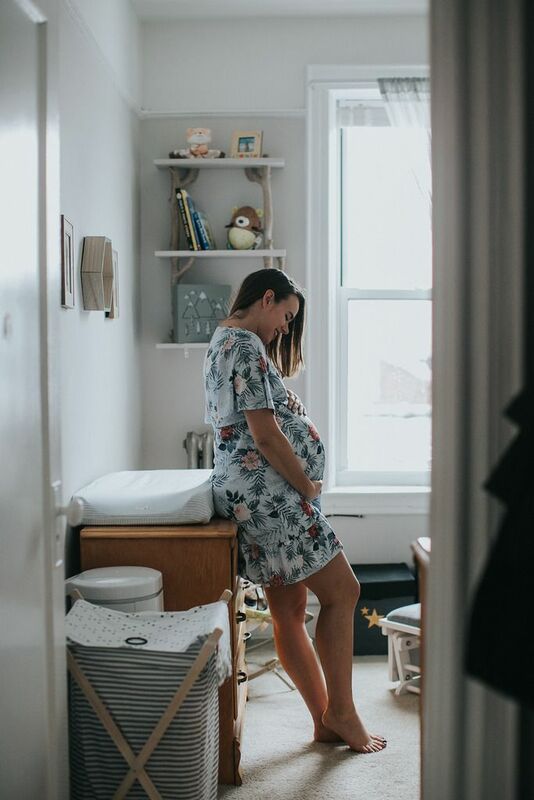 A lot of maternity photographers are focused on the body, which is beautiful, but I'm just not that type of person. 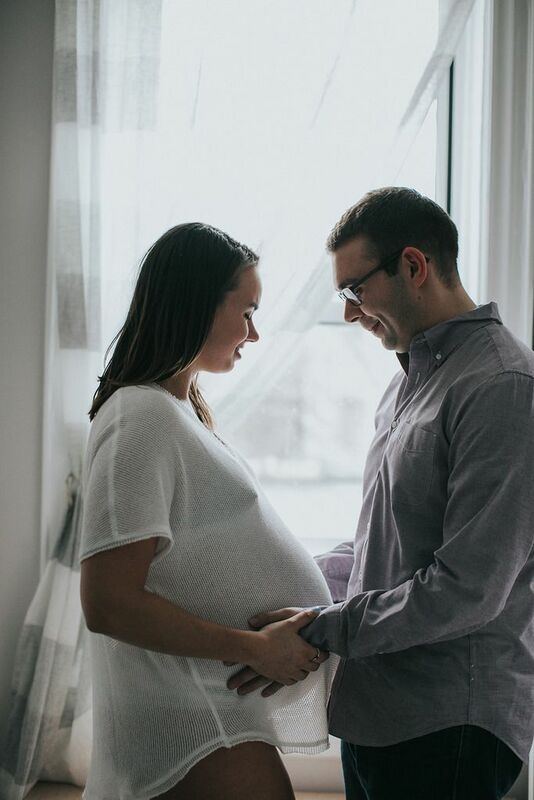 I really wanted photos that not only captured me and my belly, but of my husband and I. We didn't have many photos of us together through this evolution of just us to three. 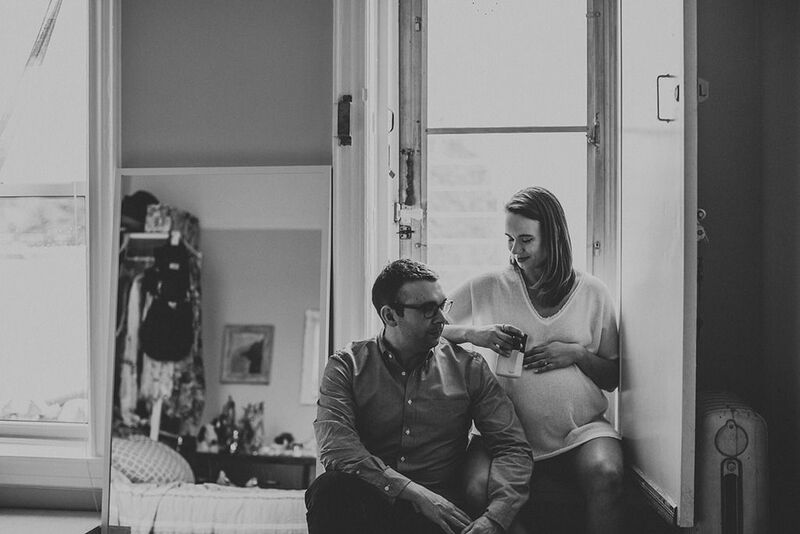 I was so happy when I came across Amy Frances photography's web page...her aesthetic matched our personality and her photos were just so sincere and beautiful. 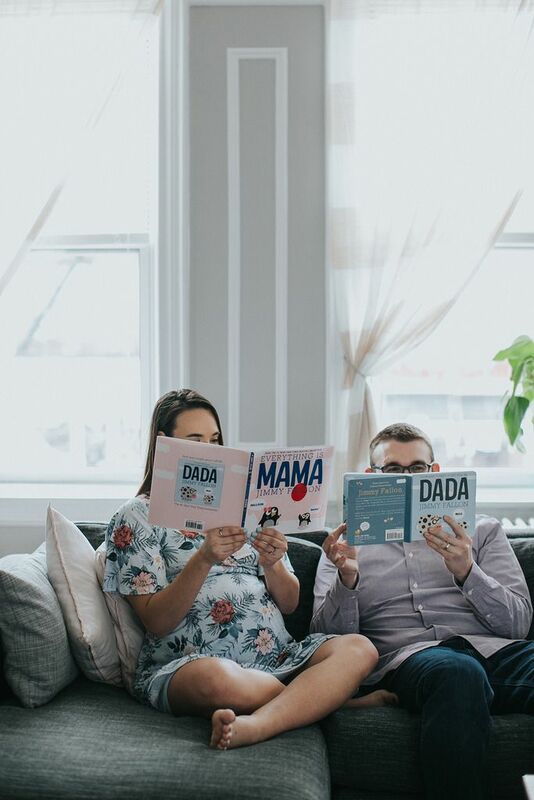 We pulled the trigger and at week 36 we did our photoshoot. You would think that as a blogger I would feel comfortable in front of a camera...but to be honest I still get pretty camera shy. Especially in front of someone I don't know. As soon as I opened our home to Amy, she felt like a friend. Warm and inviting. She put us at ease by talking to us and asking us just silly questions to make us comfortable and laughing. It was really hard to choose which ones to share here without going crazy as I love all of them. My favorite photos are of Brian and I laughing and smiling. That is our relationship through and through. We have known each other for 14 years, together for 10 years, and married for 3 years. We started out as very close friends in college, and never in my wildest dreams did I ever think we would date let alone end up married and expecting our first. We were friends and our love for one another grew into something beautiful and special. Our relationship has always been one of love and laughter. He is my rock. My soulmate. My best friend.